Candidate Moore has been accused of fiddling with high school girls when he was in his thirties. All we have are a series of accusations. The fact that he was in his thirties when his now wife was in high school, is a fact and certainly seems to support a pattern, but there is no evidence that he knew her when she was underaged. 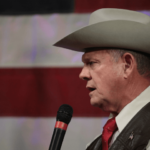 According to one of Moore’s lawyers, it is not uncommon for a couple to hook up without any knowledge of their respective ages. Clearly the lawyer is the stage for an “I didn’t know” defense. I have never practiced law in Alabama, so ignorance of the law may in fact be defensible in that sovereign state. 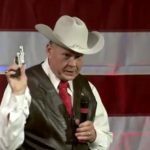 Roy Moore was 38 when he married his 24 year old wife. There is no evidence that he took her to the prom when he was 30 and she was 16, but the very idea does support a certain pattern. In full disclosure, Rapper Jay-Z married 28 year old Beyonce when he was 41. There is no evidence that he dated her or any of her classmates when she was in high school. 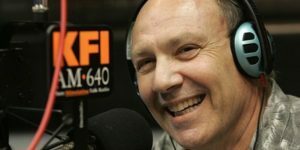 I wouldn’t be so pissed about KFI AM morning drive host William Wolf Handel calling Florida Congresswoman Fredrica Wilson a “cheap sleazy Democratic whore”, had he specified that she is a “cheap sleazy Democratic POLITICAL whore “. I don’t know if even that is true, but at least we could hide behind the obviously bad joke by saying that It was political satire. As much as I dislike equivalency arguments, I can’t help but wonder if he would have gone in on Senator Diane Feinstein with such venom. One would think that in the middle of this Cosby, O’Reilly, Weinstein faux pas, a dude with his experience would have sense enough to mind his tone in public, especially while seated in front of a top rated blowtorch of a radio microphone, but in light of the glaring silence, I suppose that he correctly calculated that there would be no outcry in support of a mere black female. Not only does Handel hold the top rated show in the market but he was recently inducted into the National Radio Hall of Fame, and he’s a solid veteran. 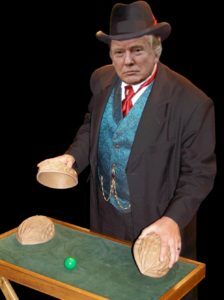 I have even talked to him on his weekend “Handel on The Law Show.” I actually like(d) the guy, but I’m sure that he would tell me that we all have to watch our own back. His boss, Robin Bertolucci seems to be a solid program director who always seems to spot the best talent and put them in the right time slot. Handel is making them some serious money, so she has put him in social media jail for a few days suspension, and apparently plans to sneak him back into the lineup if the outcry dies down. Unlike Don Imus, who was banished from his TV show for calling a group of sisters “nappy headed Hos”, and John and Ken who disappeared from a sweet ratings bonanza when John told Terri-Rae Elmer that she had “a nice set”, it looks like a man can call a woman anything he choses if the price is right. Loose lips have been known to sink ships, careers and ratings. Congresswoman Wilson is just a black woman, described as whacky by her own commander in chief, so who cares – I guess. iHeart radio distributes the Handel show and the station, so maybe FM radio star Big Boy should take a knee for the congresswoman, and raise a stink on his morning drive hip hop show @ KRRL. Station KRRL is also a nationally distributed iHeart Radio station, and Big Boy is a regular guest on Julie Chen’s CBS daytime TV show, “The Talk”. Maybe they should talk about Handel’s attack on a woman congressional leader.